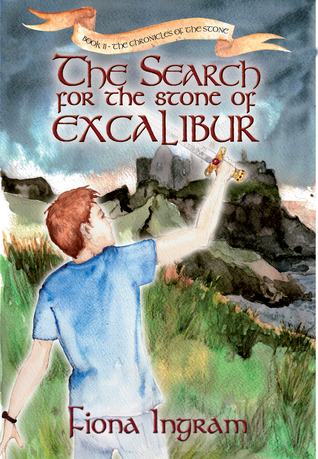 The Search for the Stone of Excalibur, by Fiona Ingram, is the long awaited sequel to Secret of the Sacred Scarab. Cousins Justin and Adam have barely settled back into a routine following their adventure in Egypt where they found the first scarab. It was risky business, but the boys received a heroes' welcome after they succeeded in getting the treasured relic to safekeeping. When the boys learn the second stone's whereabouts may have been discovered they are bound for Oxford, England where they will meet up with others intent on helping them locate the next of the missing scarabs. The boys are more than a little perturbed when they learn that twelve year old Kim, a girl they've never met, will be joining them on their quest. Their adventure has only just begun and already they are knee-deep in trouble when a sword rumored to be the famed Excalibur is stolen, and they are the prime suspects. Fiona Ingram has, once again, crafted a highly engaging book for young readers. Elements of mystery and intrigue along with a healthy dose of legend help make this an exciting adventure that kids are sure to love. A smattering of history and geography are loosely woven throughout, making this a book that is an excellent choice for home and school libraries. The Search for the Stone of Excalibur is highly recommended and has earned the Literary Classics Seal of Approval.